While sales and export revenues are starting to improve for Medellin’s textile manufacturing giants, net profits are still hard to come by, as evidenced by the latest second quarter (2Q) 2018 results from Enka Colombia and Coltejer. In a financial report issued August 6, Enka revealed that gross income rose to COP$196 billion (US$67 million) in 2Q 2018, up from COP$169 billion (US$58 million) in 2Q 2017. “Sales grew 16% in pesos and 8% in volume, with good performance in all businesses” and “the increase in sales compensates the impact of the revaluation of the peso [against the U.S. dollar],” the company added. However, rising administrative, tax and sales costs resulted in a dip in 2Q 2018 earnings before interest, taxes, depreciation and amortization (EBITDA), to COP$10.6 billion (US$3.6 million), versus COP$12 billion (US$4.1 million) in 2Q 2017, according to Enka. As a result, Enka posted a relatively slim COP$999 million (US$345,000) net loss for 2Q 2018, versus a net profit of COP$1.9 billion (US$655,000) in 2Q 2017. Meanwhile, Enka started-up its new, 3,300 tons/year polyolefin recycling plant during July, “thus venturing into the recycling of polyethylene and polypropylene” for synthetic fabrics. The plant “will transform the byproducts of the PET recycling process (plastic caps and labels) into sustainable products with high quality standards for the plastic sector. In addition, it will serve as a pilot plant for the search for sustainable solutions for other types of plastics and as a gateway to future growth and innovation,” according to Enka. As for its first half (1H) 2018 results, “operating income as of June 2018 reached COP$196 billion [US$67 million], an increase of 16% compared to the same period of the previous year, mainly due to the growth in sales volume and the higher international prices of the petrochemical chain, which offset the revaluation,” according to Enka. As for sales to the Colombian domestic market, revenues grew 17% year-on-year and volume rose 5%, “favored by the good results of the measures implemented by the [Colombian] government to avoid under-invoicing [by contraband importers] at the beginning of the year,” according to Enka. Similarly, “the continuous development of markets for high-value-added [products] and the deepening of the free-trade agreements with strategic partners have allowed us to increase exports by 16% in revenues and 13% in volume, reaching an [export] share over total sales of 48% ,” according to Enka. “We highlight the sales growth of the U.S. and Canadian markets, thanks to new approvals [for import into North America] of special technical threads, as well as in Brazil and Argentina, where new business opportunities continue to be identified,” according to Enka. For its recycled plastic fibers, 1H 2018 sales rose 24% year-on-year, to COP$62 billion (US$21 million. “EKO-Pet” sales grew 22% in pesos and 3% in volume year-on-year, with the plant “operating at maximum capacity. Sales are destined 100% to the local market, supporting the sustainability strategies of the main producers of [plastic-bottled] beverages in Colombia,” according to Enka. As for its “EKO-Fibras” synthetic fibers, “lower Asian offer [from China to nations where Enka competes with Asian producers] due to greater environmental restrictions in China and the import price thresholds implemented by the [Colombian] government have allowed sales to grow 27% in pesos and 15% in volume, especially in the Brazilian market,” according to Enka. Industrial thread sales grew 9% in revenues and 4% in volume, “driven by higher sales of technical threads to the U.S. and Canada, markets that the company has defined as strategic due to its high specialization,” according to Enka. As for the filaments-textiles business, “the implementation of the measure of minimum price thresholds for textile imports [into Colombia’ has given greater transparency to the Colombian market, favoring local sales. In addition, new businesses with Argentina are being developed, taking advantage of the greater economic activity and the free trade agreements with Mercosur. As a result, sales grew 17% in revenue and 14% in volume,” according to Enka. As for Coltejer, this textile giant saw 1H 2018 gross revenues rise to COP$75.5 billion (US$26 million) compared to COP$72.5 billion (US$25 million) in 1H 2017, thanks to a 124% jump in exports year-on-year. Cost of sales also declined, to COP$70.5 billion (US$24 million) in 1H 2018 versus COP$73 billion (US$25 million) in 1h 2017. However, finance costs in 1H 2018 rose to COP$21 billion (US$7.2 million) versus COP$14 billion (US$4.8 million) in 1H 2017. As a result, Coltejer posted a net loss of COP$13.7 billion (US$4.7 million) for 1H 2018 versus a net loss of COP$21 billion (US$7.2 million) in 1H 2017. For 2Q 2018, gross revenues improved to COP$39 billion (US$13.4 million) versus COP$31 billion (US$10.7 million) in 2Q 2017. Finance costs also rose in 2Q 2018, to COP$10.7 billion (US$3.7 million), versus COP$6.8 billion (US$2.3 million) in 2Q 2017. As a result, Coltejer posted an after-tax net loss of COP$12.5 billion (US$4.3 million) in 2Q 2018 versus an after-tax net loss of COP$10.8 billion (US$3.7 million) in 2Q 2017. Medellin-based utilities giant EPM announced July 3 that it signed a biodiversity project alliance deal with University of Antioquia (U-A) to study and protect birds and other wildlife affected by EPM’s hydroelectric dams – including the under-construction “Hidroituango” dam in Antioquia. According to EPM, the agreement with U-A “adds scientific, technical and administrative efforts for the integral management of biodiversity, through research and conservation actions in the areas of interest of power generation in Antioquia. 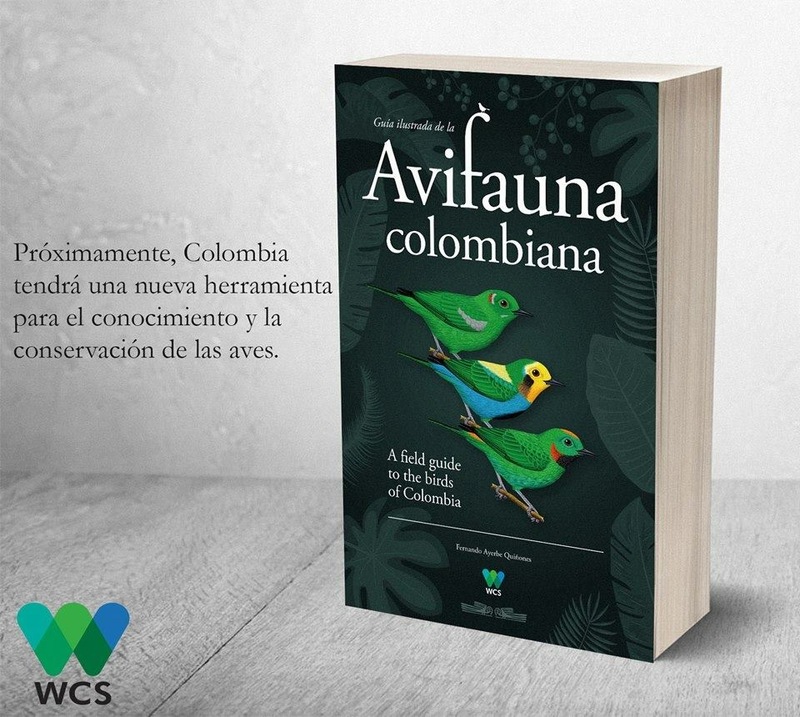 “With this alliance, initially planned to continue until 2020, five programs of integrated management of biodiversity in the zones of influence of different reservoirs in Antioquia are developed. The five research and training programs include terrestrial flora and fauna; ictiofauna, habitat and ecosystems; cyanobacteria monitoring and management of melanoides tuberculata; public health surveillance; and environmental education." One just-completed project investigated the impact of the Hidroituango dam (and habitats flooded by the lake behind it) on various locally endangered or threatened birds, including Military Macaw (Ara militaris), Channel-Billed Toucan (Ramphastos citreolaemus) and Antioquia Wren (Thryophilus sernai), according to EPM. Commenting on the U-A deal, EPM general manager Jorge Londoño de la Cuesta added: “In recent years we have witnessed a positive evolution of social and environmental performance standards for our energy generation operations, leveraged by an increase in the level of technical requirements of environmental regulatory authorities at the national and regional levels. Medellin-based international banking giant Bancolombia reported August 2 that its second quarter (2Q) 2018 consolidated net income dropped 9.5% year-on-year, to COP$592 billion (US$204 million), from COP$653 billion (US$225 million) in 2Q 2017. Despite the year-on-year decline, the 2Q 2018 profits were 13% better than first-quarter (1Q) 2018 profits, according to the company. As of June 30, 2018, Bancolombia’s assets totaled COP$204 trillion (US$70 billion), up 1.8% compared to 1Q 2018 and up 0.4% compared to 2Q 2017, according to the company. Bancolombia’s liabilities totaled COP$180 trillion (US$62 billion), up 1.6% compared to 1Q 2018 but down 0.1% compared to 2Q 2017. During the latest quarter, the Colombian peso depreciated 5.4% against the U.S. dollar, whereas in the prior 12 months, the peso appreciated 3.9% against the dollar. “In 2Q 2018 there was a growth in the gross portfolio of 2.9% compared to 1Q 2018,” while “compared to 2Q 2017, the annual growth of the peso portfolio was 8.7% while the dollar portfolio decreased 2.4%,” according to Bancolombia. “At the end of 2Q 2018, operations at [subsidiaries] Banco Agrícola in El Salvador, Banistmo in Panama and BAM in Guatemala represented 25% of the total portfolio balance,” according to the company. “At the same time, the portfolio denominated in currencies other than the Colombian peso -- generated by operations in Central America, the off-shore operation Bancolombia Panama and the U.S. dollar portfolio in Colombia -- represented 33.4% of the total portfolio and had an increase of 7.4% for the quarter (expressed in pesos), mainly explained by the depreciation of the peso versus the dollar,” the company added. Total reserves (provisions in the balance sheet) for delinquent loans increased 5.4% during the quarter, “equivalent to 5.8% of the gross portfolio at the end of the quarter,” according to Bancolombia. At the end of 2Q 2018, Bancolombia’s investment portfolio declined 6.7% compared to 1Q 2018, but rose 2.2% compared to 2Q 2017. “The investment portfolio consists mainly of debt securities, which represented 70.5% of total Bancolombia investments and 5.4% of assets at the end of 2Q 2018,” according to the company. At the end of 2Q18, the portfolio of investments in debt securities had a duration of 19.6 months and a yield to maturity of 4.7%. The consolidated loan portfolio in 2Q 2018 grew 3.2% compared to 2Q 2017 “The annual growth reflects a moderate demand for credit in Colombia,” according to Bancolombia. Net interest income fell 3.3% compared to 2Q 2017, according to the company. Net annualized interest margin in the latest quarter was 5.9%. “The margin increased six basis points in the quarter, and decreased 31 basis points compared to 2Q 2017, impacted by the fall in net interest income due to the adoption of IFRS 9, as well as the reductions in the reference rate of the central bank in Colombia,” according to Bancolombia. The past due portfolio is “explained mostly by corporate clients,” according to the company. “Net fees were COP$645 billion [US$22 million] and grew 4.8% compared to 2Q 2017. Debit and credit cards, payments and collections and fiduciary activities are the [venues] that contribute the most to this positive annual performance,” the company added. Income taxes dipped to COP$195 billion (US$67 million) in 2Q 2018, down 37.3% from 1Q 2018, and down 30.6% compared to 2Q 2017. “These variations are mainly explained by the depreciation of the peso versus the dollar in the second quarters of 2017 and 2018, since the operation in Colombia, which has the highest tax rate, represents a lower proportion in the consolidated results,” according to Bancolombia. As of June 30, 2018, the Bancolombia Group had 31,000 employees, 1,045 branches, 5,746 ATMs, 11,269 correspondent-bank locations and more than 12 million customers. Private-sector developers are stepping-up their push for the proposed “doble calzado oriente” (DCO) four-lane, divided highway between the Sancho Paisa roundabout on the Las Palmas highway (east of Medellin) and the international-airport highway adjacent to Hospital San Vicente Fundacion. In an August 1 public hearing near Medellin’s Jose Maria Cordova (JMC) international airport at Rionegro, DCO proponents revealed details of their currently underway environmental impact assessment (EIA) -- and answered some testy questions from a crowd of more than 200 citizens here. Citing enormous traffic growth in the Oriente region and huge housing-development plans around the Llanogrande district and other neighborhoods near the Rionegro international airport, DCO general manager German Perez explained the rationale for the proposed COP$400 billion (US$138 million), 13.8-kilometers-long DCO. If the privately funded project wins crucial permits from local environmental agency Cornare, and if required capital is raised, and if the proponents successfully purchase private lands along the route, then DCO could start building this highway as early as mid-2020, Perez told Medellin Herald following his presentation at the public hearing here. The proposed highway – which would include a toll booth midway (charging at least COP$14,300/US$4.95 per car) -- would run roughly parallel to the existing, two-lane “Variante al Aeropuerto” highway between Sancho Paisa and the soon-to-be-opened “Tunel de Oriente” highway connecting Medellin directly to the JMC airport. The DCO highway would cut through some of suburban-Medellin’s poshest gated-community districts, including the “El Tablazo” neighborhood near the city of Rionegro. Some of the residents in these areas told DCO proponents here that they’re worried about potential damage to spring-waters, flora and fauna, as well as excessive traffic noise, air pollution and negative impacts upon the tranquility and relative lack-of crime currently enjoyed in the area. One resident here pointed out that the route would pass through the “Espirito Santo” forest reserve, which has a stream that feeds the “La Fe” water reservoir in El Retiro. Medellin utility EPM is now building a vast network of pipes to carry that water from “La Fe” to new, burgeoning residential and commercial developments in Llanogrande. So the utility ought to take note of potentially “tragic” damage to water resources as well as the precious “biological corridor” of Espirito Santo, according to one resident here. Other residents here also complained that the project would unfairly benefit Antioquia Governor Luis Perez, who owns a “finca” (farm) alongside the proposed route. But the DCO proponents – among which are three board members of Medellin-based highway construction/operating giant Devimed – argue that new highways (including DCO) are critical to avoid a total collapse of traffic in the Oriente region over the next five-to-10 years. In his presentation, DCO’s Perez dismissed two other proposed alternatives: widening the existing “Variante al Aeropuerto” highway to four lanes, or else widening the two-lane highway between Sancho Paisa and El Retiro to four lanes. Both of those options would be excessively costly for property acquisitions and would involve steeper grades, slowing traffic, he said. What’s more, some 800 families living and operating small businesses alongside the El Retiro road would confront forced removals, likely triggering a social crisis, he added. In addition, the main traffic growth in Oriente isn’t around El Retiro, but rather in the suburbs adjacent to Rionegro and La Ceja -- and the ever-more-crowded highways connecting those cities to Medellin, he explained. While some residents may be upset about the proposed DCO highway, they should better direct their complaints to local mayors that continue to issue massive numbers of building permits, bringing ever-worsening traffic jams, DCO’s Perez added. Medellin-based multinational utilities giant EPM announced July 31 that its first-half (1H) 2018 earnings before interest, taxes, depreciation and amortization (EBITDA) grew 10% year-on-year, to COP$2.5 trillion (US$865 million). Net profits for 1H 2018 were steady year-on-year, at COP$1 trillion (US$ 346 million), according to the company. The city of Medellin – EPM’s 100% owner – received COP$806 billion (US$279 million) in profit payments during the semester, according to the company. “Increased energy sales and the increase in the number of users of water services are the main elements that gave rise to good financial results for the EPM Group,” according to the company. During 1H 2018, EPM Group revenues hit COP$7.9 trillion (US$2.7 billion), with foreign subsidiaries contributing 33% and national energy subsidiaries 15%, according to the company. While net profits were steady, “costs increased by 10% and expenses by 9%, partly due to the provision of expenses associated with the Hidroituango [hydroelectric dam] contingency,” according to the company. Payments to the city of Medellin were equivalent to 55% of the company's net profit of 2017, of which COP$150 billion (US$52 million) came from EPM’s sale of minority shares in power generator Isagén. Medellin-based textile giant Fabricato on July 31 posted a COP$7.4 billion (US$2.6 million) net loss for second quarter (2Q) 2018, down from a COP$16 billion (US$5.5 million) net profit in 2Q 2017. Earnings before interest, taxes, depreciation and amortization (EBITDA) came-in at COP$2.8 billion (US$970,000) in 2Q 2018, an improvement over the COP$1.6 billion (US$554,000) EBITDA in 2Q 2017. So far this year, first half (1H) net loss stands at COP$19 billion (US$6.6 million), an improvement over the net loss of COP$25 billion (US$8.6 million) in 1H 2017, according to the company. “Despite the expectation generated by the [Colombia] presidential elections [won by pro-business, moderate conservative Ivan Duque, rather than socialist-populist Gustavo Petro] and the great interest that the [World Cup] soccer world arouses -- both events that took place in this [2Q 2018] period -- we saw the same recovery trend of the economy already perceived in the first quarter of the year,” according to Fabricato. “Inflation remained under control and the price of oil remained above the budgeted target, two good elements that allow us to suppose that the trend of recovery in economic activity will continue,” according to the company. However, “the point of alert in this second quarter was the deviation between the exchange rate of Colombia with the exchange rates of Argentina [Argentine peso down 35% against Colombia peso] and Brazil [Brazilian reais down 17% against Colombia peso], countries with which the free trade agreement entered into force in January of this year. “The proximity of these countries with Colombia, associated with the devaluation of their currencies, makes the commercial effects immediate, making us [suffer] the increase of Brazilian products both in Colombia and in Ecuador and Peru, main destinations of our exports. However, “we still had many [cost penalties] due to the transfer of the [Riotex affiliate] plant from Rionegro to Bello, with the inevitable difficulties and cost overruns that this represents. “EBITDA in the [latest] quarter was 3.2% on sales versus 1.8% in the same quarter of the previous year, despite the fact that sales in value were practically the same, a sign that operating efficiencies are beginning to be reflected in the results. In addition, thanks to Fabricato’s move to meet U.S. environmental and social responsibility standards, “by complying with the standards, values and products required, Fabricato today is a licensed and recognized company in this segment,” the company added. Meanwhile, as for Fabricato’s investments in commercial real-estate businesses, “the start of construction of the [Bello, Antioquia] shopping center is scheduled for September this year. For the defined business model, from the start of construction Fabricato will receive 49% of the revenue that corresponds to future cash flows and the remaining 51% with participation in the areas of the center that will be leased. “With this income from leases, Fabricato will cover in the future a high percentage of the cash flow needs demanded by our pension liabilities. The approximate value for this year of the shopping center is approximately COP$6 billion [US$2 million]. As for the re-purposing of its former Riotex industrial park in Rionegro, “at the end of June, 45% of the available area is already leased. The objective is that by the end of this year the occupation is 100% or close to this,” according to Fabricato. “In the case of full occupancy, we estimate that for leases and services, the industrial park should generate annual revenues between COP$5.5 billion [US$1.9 million] and COP$6 billion [US$2 million],” according to the company. Medellin-based international packaged foods giant Grupo Nutresa announced July 27 that its second-quarter (2Q) 2018 profits rose 27% year-on-year, to COP$124 billion (US$43 million), while sales rose 5%, to COP$2.2 trillion (US$765 million). Earnings before interest, taxes, depreciation and amortization (EBITDA) rose a modest 1.6%, to COP$267 billion (US$93 million), while EBITDA margin hit 12.5% during the first half (1H) of 2018, according to the company. While Colombia currently represents 64% of its total global sales, Central America now accounts for another 9.3%; Chile 8.6%; the USA 7.5%; Mexico 2.6%; Peru and the Caribbean each 1.8%; and Ecuador 1.4%, according to Nutresa. During 1H 2018, sales in Colombia rose 4.4% year-on-year, to COP$2.8 trillion (US$974 million), due to a 3.8% hike in product volumes “accompanied by a prudent pricing strategy and a decisive investment in brands in the different channels served,” according to Nutresa. Also during first-half 2018, international sales grew 5.9% (as measured in U.S. dollars), hitting US$547.3 million, according to Nutresa. Gross profit for 1H 2018 grew 5.6% year-on-year, to COP$1.9 trillion (US$661 million), reflecting “the increase in sales, efforts in productivity and the constant search for greater efficiencies in purchasing strategies and coverage of our raw materials,” according to Nutresa. In Colombia, the company boasts of a 71% market share in sales of processed meats (Zenu and Pietran brands); a 54% share in crackers/cookies (Noel, Tosh, Dux); a 69% share in packaged chocolates (Corona, Jet, ChocoListo); a 50% share in coffees (Colcafe, Sello Rojo, La Bastilla, Matiz); a 52% share in pastas (Doria); and significant market shares in fast-food restaurants (El Corral, Leños y Carbon, Helados Bon, Krispy Kreme, Taco Bell, Starbucks, Papa John’s and Beer Station). The company also boasts of robust sales of Italian processed-food specialties through its Tresmontes Lucchetti division in several countries. Cemex Latam Holdings -- a division of Mexico-based cement giant Cemex -- announced July 26 that second-quarter (2Q) 2018 operating earnings before interest, taxes, depreciation and amortization (EBITDA) for its Colombia operations dipped 4% year-on-year, to US$21.6 million. Sales in 2Q 2018 in Colombia also dipped 5% year-on-year, to US$129 million, while operating cash flow dipped to US$22 million, from US$23 million in 2Q 2017, according to the company. Colombian sales volumes of cement, concrete and aggregates all fell between 9% to 13% year-on-year, mainly because of weakness in Colombia’s construction sector, according to the company. However, year-on-year deliveries of cement for highways and infrastructure sectors were actually improving during the latest quarter, the company added. Meanwhile, prices for gray cement in Colombia during 2Q 2018 rose 8% year-on-year (measured in Colombian pesos). As for the current situation facing Cemex Colombia’s in-limbo cement plant at Maceo, Antioquia (see: "Cemex Colombia Loses Appeal on Price-Fixing; Former Execs Charged in Maceo Plant Scandal," Medellin Herald, June 22, 2018), Cemex revealed that it’s now trying to work-out a new lease-extension deal with Colombia’s Sociedad de Activos Especiales (SAE) for lands around the Maceo plant. SAE supplanted the now-liquidated Direccion Nacional de Estupefacientes (DNE) agency, which originally had moved to seize lands around the plant because of alleged tax fraud by the former owner of the properties. Since then, Cemex Colombia had enjoyed a temporary “lease contract” with DNE to continue construction and an eventual planned-but-not-yet-executed start-up for the plant. But that contract expired July 15, 2018. “Despite the expiration of the validity of the lease agreement, Cemex Colombia estimates that the lease agreement has the benefit of a renewal prerogative that operates in accordance with the terms and conditions of the lease agreement and by the Ministry of Justice, and that we also have the right to continue using Maceo’s assets in accordance with the terms [of the original lease] until the end of the domain termination process,” according to Cemex Colombia. “Although the SAE questions the validity of the documents signed by the DNE, the SAE and Cemex Colombia continue to work on a long-term scheme that allows the Maceo plant to be commissioned while the extinction-of-domain process [that is, the economic seizure of property assets due to the tax-fraud allegations] is resolved,” according to the company.